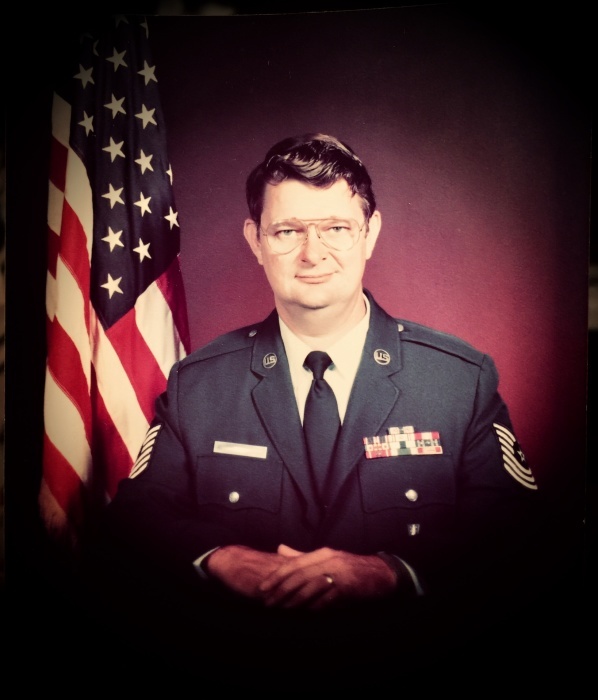 SMsgt Clinton J Goss, 73, went to be with our Lord on December 14, 2018 in San Antonio, TX. A graveside service will be held at 12:00pm Saturday February 23rd, 2019 at the Johnson County Memorial Gardens, 11200 Metcalf Ave. Clinton was born in Monterey, California to Clinton M. and Ella Goss. He graduated from Shawnee Mission North HS. He was an awarded Veteran of the US Air Force, and a member of The Knights of Columbus. He is survived by his wife, ErLinda Goss of 48 years; son, Mario Goss; daughter, Diane Mobley and sisters Martha Tietze and Carol Bonham.